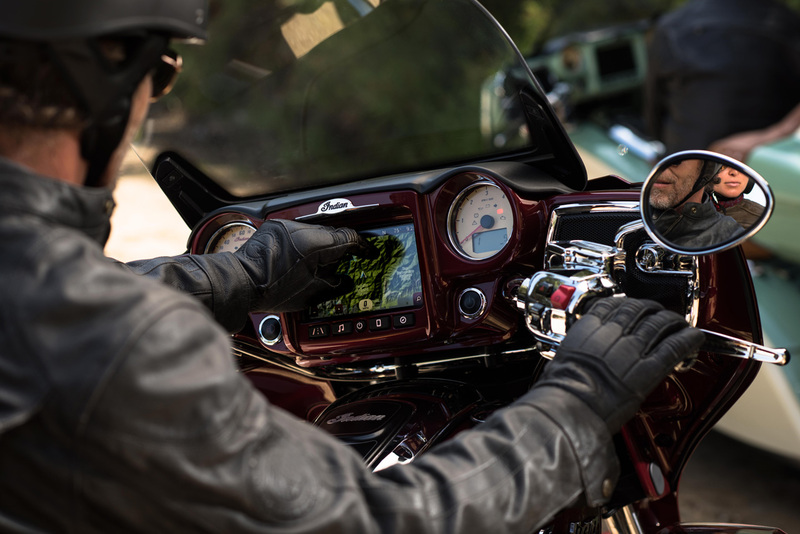 Indian Motorcycle is now offering the largest and most rider-friendly touchscreen and infotainment system on two wheels – called Ride Command. 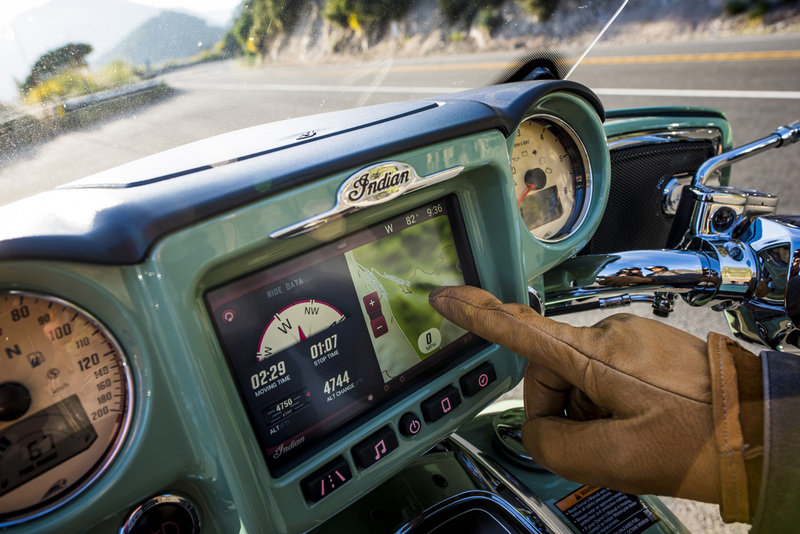 Integrated seamlessly into the dash of the 2017 Roadmaster and Chieftain models as standard, not only does the Indian Motorcycle Ride Command offer the best display in the industry, it’s also the easiest to use with easy-to-customise rider information screens. At 7 inches, Ride Command is the largest infotainment display in the industry with the highest resolution (800 x 480 pixels), the brightest screen (twice as bright as some of the brightest smart phones on the market) and the fastest response time (ready in 10 seconds following key-on activation). 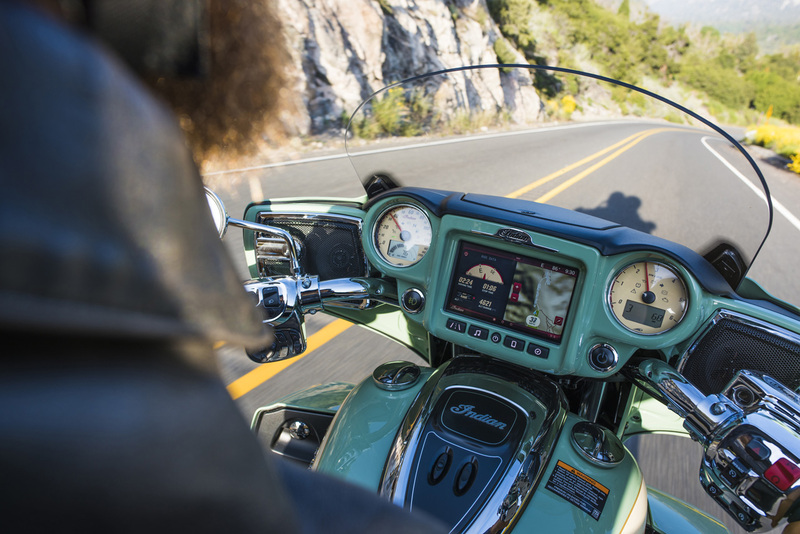 Ride Command links up through Indian Motorcycle’s premium audio system (100 watts on Chieftain and 200 watts on Roadmaster). 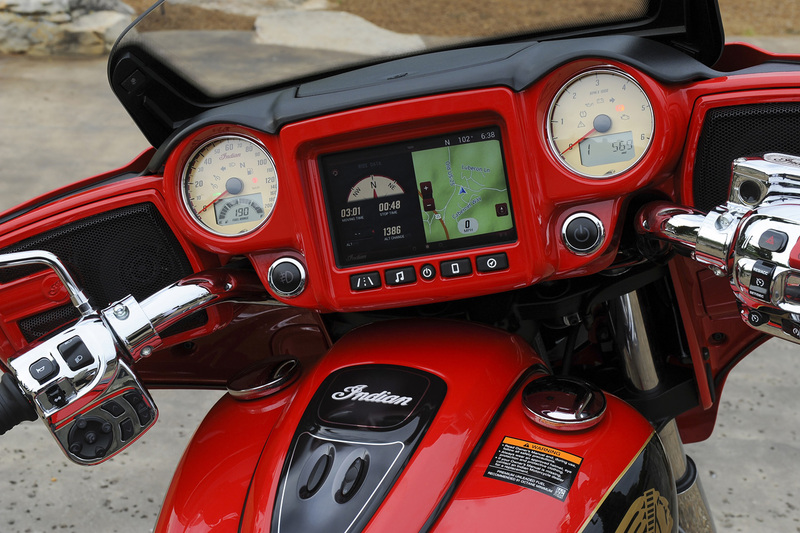 Offering an easy-to-read touchscreen located in close proximity to the rider, the Ride Command system offers the most intuitive infotainment interface on two wheels, with modes/shortcuts easily available (through five large push-buttons). The touchscreen has two-finger touch capabilities featuring a glove-accepting, pinch-to-zoom capability just like a smart phone. Carrying a Bluetooth-enabled phone or headset? If you are, then Ride Command offers the easiest and fastest pairing to your device for quick, seamless integration into the touring experience. 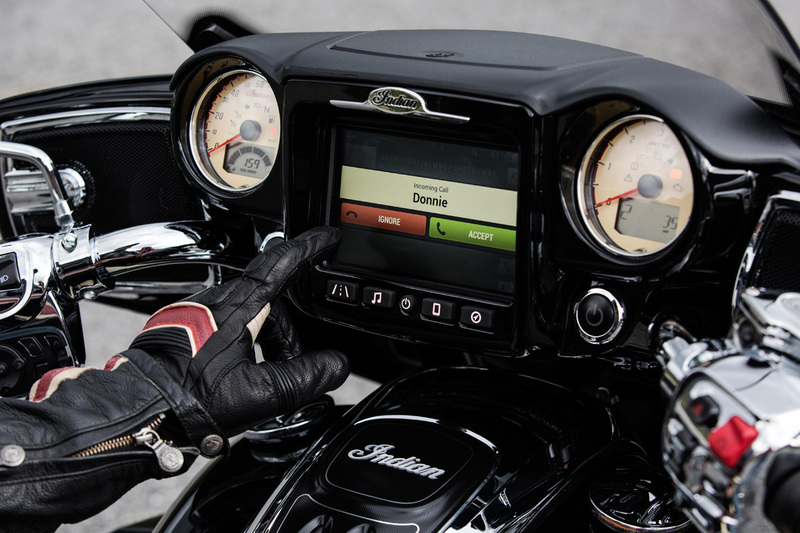 Alternatively, use buttons located below the screen or on the handlebar that are both connected to the touchscreen display. Use the controls to manipulate audio controls, accept and reject phone calls and navigate through screens.